Every weekend, all the signs come out. Garage Sale! Yard Sale! Open House! For Rent! Now Hiring!... 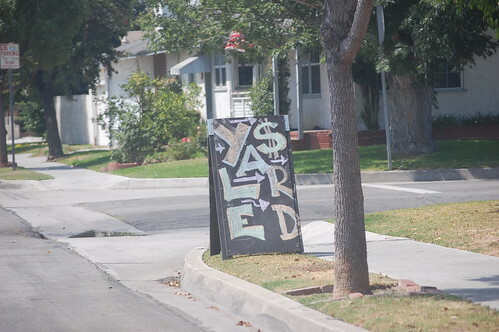 This is by far the cutest and most creative sign I've ever seen in Downey.